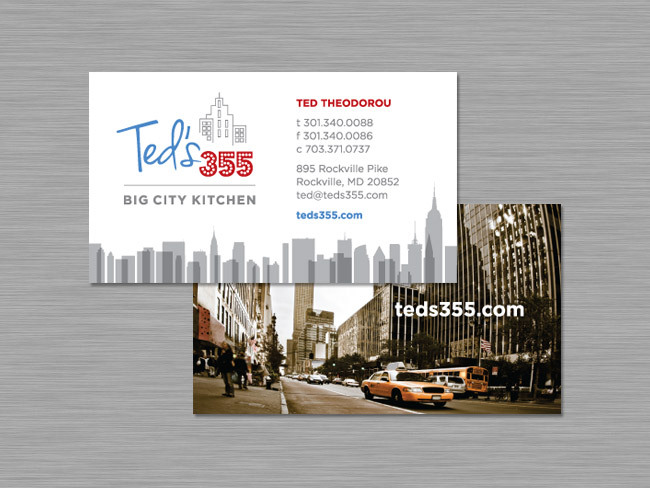 Ted’s 355 is a new restaurant and needed some business cards. After creating their logo, we put together these great cards that bring together diner flair with a modern twist. Their family-friendly restaurant will be starting off right with these fun business cards.